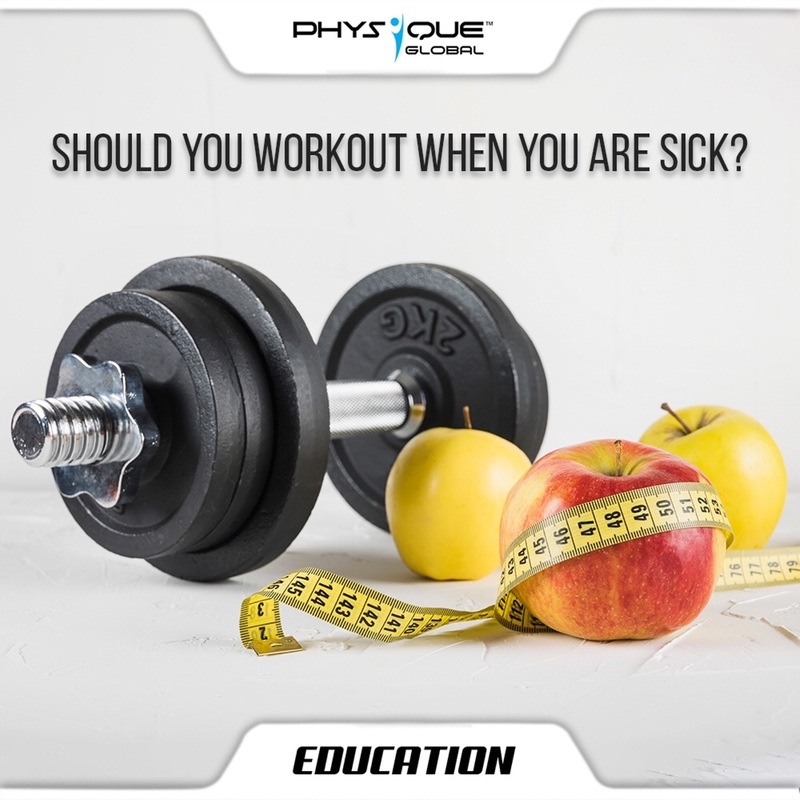 Home · Physique Global Article · Should you work out when Sick? There is no one answer to this question. In other words, it all depends on how severe your sickness is and whether you have the energy levels and the will to sweat it out. It is true that exercise strengthens your immune system and helps you ward off colds and flu. However, certain types of activity can spike levels of cortisol, a stress hormone that suppresses your ability to fight off invading germs. Stay home if you have a fever, stomach symptoms or the flu. If you’re wiped out with fatigue, it’s a good idea to skip your work out. Rest allows your immune system to recover. Exercising with a fever can cause your already high internal body temperature to increase, which will only make you feel sicker. It is best to slow down, take it easy and get some rest! The easiest way to determine whether or not you should exercise is to use the above-the-neck rule. If all your symptoms are above the neck (a runny nose, headache, sneezing, etc.) go ahead and train. If your symptoms are below the neck (chest cold, body ache, fever), then skip. If you have a minor cold, short workouts with moderate weights and few reps just to get a good blood flow without exhausting yourself would be beneficial. All in all, our best advice would be to listen to your body, do not push your limits when sick. Taking a few days off from your regular exercise won’t ruin all of the progress you’ve made. If still in doubt, talk to your doctor if you want more information on exercising while you are sick.